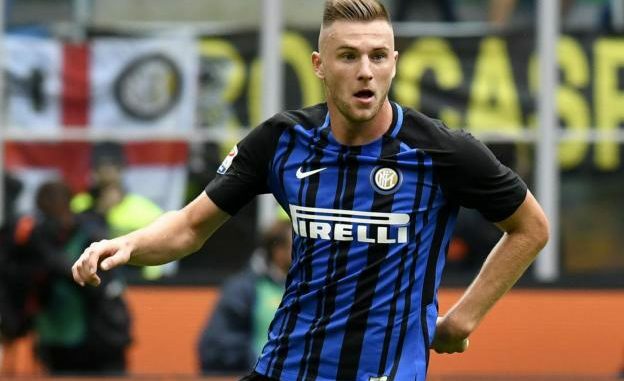 Karol Csonto, agent of Inter Milan defender Milan Skriniar, says Manchester United are one of four clubs interested in the Slovakian, reports The Sun. Manchester City, Real Madrid and Barcelona were also named as suitors. Skriniar joined Inter from fellow Serie A side Sampdoria in the summer, and has made 24 appearances in all competitions. The 22-year-old was reportedly the subject of a rejected £57m bid from one of the four clubs named above, and Csonto says his client won’t be leaving the San Siro this month. “I knew he would never leave in this window, but I can confirm that big clubs like Barcelona, Real Madrid and the two Manchester clubs are interested. And I can also add that one of these clubs has made a £57million bid for him,” the representative said. The Slovakian international would have stiff competition if he came to Old Trafford, with Phil Jones, Chris Smalling, Eric Bailly, Victor Lindelof and Marcos Rojo all battling for a starting place at the heart of the defence, but their collective lack of availability might be the reason for the reported interest. Manager Jose Mourinho has issues pertaining his current defenders, with Lindelof struggling to nail down a starting place due to inconsistent form in his debut season. Rojo and Bailly have been out with injury for the majority of the campaign, while Axel Tuanzebe was loaned out to Aston Villa. Skriniar may also be a long-term option given his young age. Given Man City, Real Madrid and Barcelona are interested, however, United have a difficult task getting him to Old Trafford.